Norilsk is a Russian industrial city, the world’s northernmost city, with more than 100,000 inhabitants — and it’s one of most polluted cities in the world due to intense mining, a bleak land of ore and melted metal, of biting frost and acid rains. 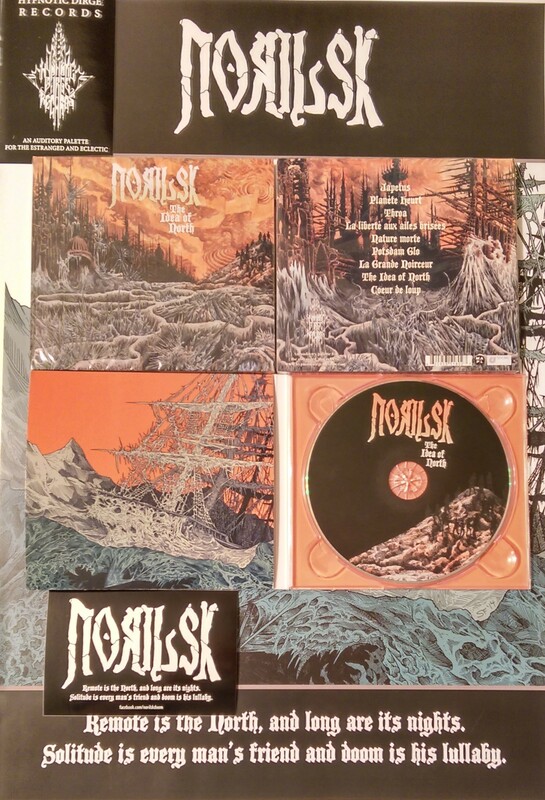 But Norilsk is also the name of a death/doom band from Québec, Canada, and their debut full-length record The Idea Of North will be released on the 10th of March through Hypnotic Dirge Records. I found the band on their label’s new compilation Subarctic Nocturnes: Doomed to Be – Vol.1 (available here), and it was a worthy discovery. Are you ready for the cold, distorted, and burning breath of arctic wind? Nicolas Miquelon (all instruments but drums, and vocals) is here to spread the very idea of North. Hail Nic! Mate, I was surprised when I received the new compilation from Hypnotic Dirge and there found Norilsk. So first of all, how did you think out such a name for the band? Hi Aleks and thank you for this interview. The idea of naming the band after a city came early on, as the lyrics are mostly about the land and identity, and since we didn’t want a French nor an English band name. There are bands such as Yellowknife, Whitehorse, Of Montreal, Gatineau, etc., named after Canadian cities, and other bands such as Rammstein named after municipalities elsewhere around the globe. As we play doom, and since we wanted a city evocative of the North, Norilsk with its extreme geographic location and its heavy metal smelting complex appeared to be one of the most iconic places to be named after. And it was a great idea! What are the main facts that our readers should know about the band? We are a French-speaking band based in the Gatineau/Ottawa area of Canada, and the two core members are Nick Richer (drums, backing vocals) and myself (Nicolas Miquelon: other instruments, vocals). 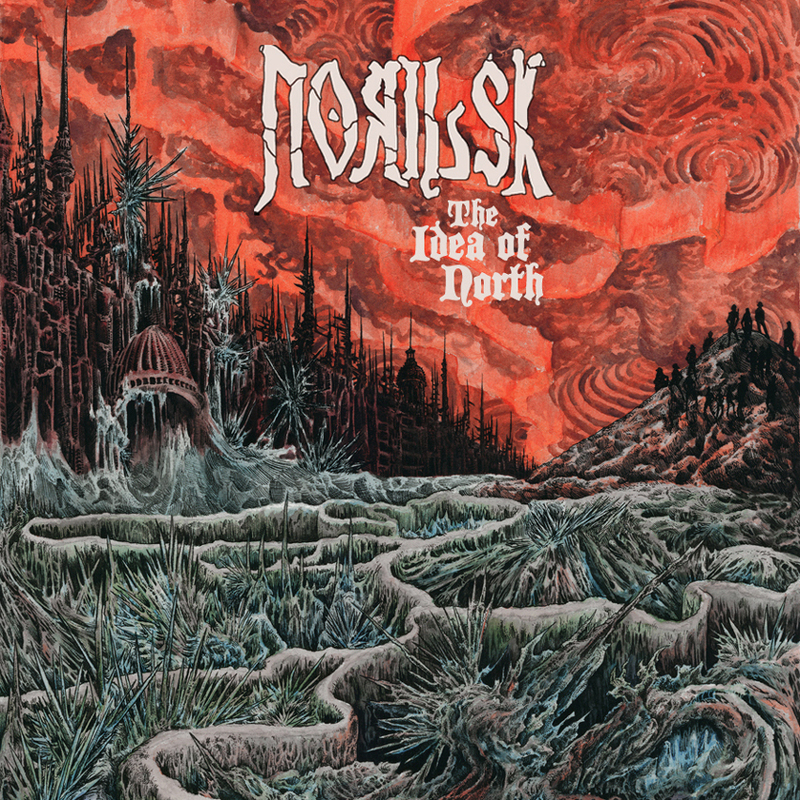 Norilsk released a first EP in 2014, and is about to release its first full length album The Idea of North on March 10, 2015. Norilsk is a duo — how long have you known each other? And how did you discover doom metal for the first time? Nick R. and I met in 2006 or 2007 through the Ottawa metal scene, and the network of bands we each played with at the time. He was drumming for different bands such as Doll and Chopz, and I was playing bass for Kintra. Nick R. eventually started a dark metal band called Damnus and asked me to join, and since then we’ve played together in various bands and projects. I’m not sure when we “discovered” doom metal, but I started playing the bass by learning Black Sabbath songs. I remember listening to early Paradise Lost, Anathema, Morgion, and other doom-death bands in the early 1990s before they were even tagged “doom”… To me, the notion of doom evolved over time to become more of an approach to music. As for Nick, I know he listens to a wide range of music, and he was early on into Candlemass and the first albums of My Dying Bride. The death/doom conception (in its incarnations as represented by the earliest bands) mostly expressed moods in such terms as “depression”, “sorrow”, “tragedy”, “despair”, and so on. Somehow I do not feel that despair in The Idea of North, as if it’s more a story of a man who’s above circumstances. What kind of feelings does your music help you to channel to the outside? Good observation. Yes, rather than being the story of a man looking down into a well and wanting to throw himself in, it rather is the story of a man trying to look at the world from the bottom of this well. There is a different kind of tragedy happening in The Idea of North, and that is probably the tragedy of mankind instead of being the tragedy of oneself. If I were to make a parallel with lyrics in death/doom metal history, it would probably be with mid-1990s albums such as Officium Triste’s Mountain of Depressiveness, and Thergothon’s Stream From the Heavens, as we used on The Idea of North similar oppressive and ominous environmental concepts. The intention behind the lyrics is to express something bigger than oneself, something so wide and deep that you can’t escape. Nicolas, who are those two shrouded figures depicted on Norilsk’s promo photos besides you and Nick? It’s not a secret that we intend to play live with a full band. As we have two additional musicians at the present time to help Nick and me, but as they may change depending on availability and other circumstances, we thought it would be a nice idea to use a promo photo with two hooded “extras”. I see that Nick also is in death/thrash band Outrage. What’s your musical experience besides Norilsk? Yes, Nick recently revived Outrage, an old school metal band he was playing with over 20 years ago, and which will release a new album this year. I have also been playing bass with them for over a year now, as well as with Damnus (with Nick) and other projects, including death, thrash metal, indie rock, and shoegaze. I played for about 12 years with a band called Kintra located in Montreal, and played live with various metal and non-metal bands. Your first full-length record The Idea of North soon will be released on Hypnotic Dirge. What is the story behind this record? This album came together naturally. Except for maybe one song, it was all written during a single Winter, which inspired both the slow pace of the album and the lyrics. There is no concept behind it, but most songs revolve around the land, identity, solitude, and demise. I came up with the title The Idea of North after pianist Glenn Gould’s experimental radio documentary, where he layered a series of individual interviews on top of each other, and brushed a complex portrait of what could be depicted as “the North”. I was seeing Norilsk’s first album in a similar fashion: as a quilt made of several distinctive pieces. How did you see The Idea of North during the recording of these songs? As a slow journey through the vast northern territory. This idea of the North, as we depict it, is a collective experience, but we walk alone. The recording had to be heavy, wide-sounding, cold, and hard as voyaging through it. The album was composed like an early Black Sabbath album. Each song has its own individuality, and the songs could be seen as having eclectic influences to a certain degree. There are the highlight songs and the binding interludes. As The Idea of North is relatively catchy for a doom-death album, we took great care into pacing the album accordingly, from first song “Japetus” (which appeared on last year’s EP) to the last and probably one of the most memorable songs, “The Idea of North”. I wrote most songs on bass guitar first, as it is my main instrument, and played with the structure of the songs once I added guitars and vocals. Nick composed his drums at the very end of the writing process, which brought various dynamics and nuances. The strong focus on bass and drums probably had an impact on the music grooves, but also on the recording process. We wanted a good production with this album, but the level of guitar distortion and bass overdrive was adjusted in the studio, with the help and advice of the producers. The bass had to be well-represented in the mix, and it was important for me to have a different bass sound than with my other bands. Nick’s snare and ride cymbal have a very distinctive sound, and we wanted them to be appropriately showcased in the mix. The artwork made by Sam Ford is astonishing as far as songs which are included in this album. And I feel that Norilsk isn’t some newbie project, ‘cause all tracks have a crystal-clear and yet distorted sound, and they’re not as simple as might be expected on a debut album of some unknown band. So did you have an overall vision of how the album had to sound when you entered a studio? You are correct: the artwork, band photo, recording, and artistic approach in general is something we tried to think through carefully. Because we are musicians who previously played with other bands, because we had many other studio experiences, and because we listen to a wide range of music, a lot of choices were deliberate. For example, while our songs may appear to be relatively simple and minimalistic, they include a lot of unorthodox patterns or structures. This is our way of saying “this is not a technical album, this is something else, and we assume it”. As far as the recording process goes, we wanted to keep it as simple and minimalistic as possible, and keep a lot of raw edges. For example, the guitars aren’t perfect and there are a lot of “first takes” in there. We wanted to have an organic recording with a huge sound, which we thought was complementary to our stylistic approach: a mix of doom, death, and sludge metal. I am glad to hear that you like the artwork. As we believe an album is more than just the music, we took great care into developing the design accordingly. Sam Ford is a talented artist, and I knew of him because of his involvement with the Portland (US) doom scene. He was very receptive to our concept to transform the EP cover (which was a 19th Century photo of Montreal’s port) into something far more expressive, and add a number of references to the idea of north in it. The “Nature Morte” song includes a quote of Karl Jung. How can we apply his analytical psychology to Norilsk? I’m no expert in Jung’s psychology. However, I think many of his theories fit metal perfectly, especially his concept of individuation. As far as it goes with Norilsk, I think Jung’s idea that the collective unconscious can be translated into an individual consciousness is appropriate, as our lyrics make use of a lot of metaphors and second-degree mental images to express abstract ideas. “Nature Morte” is a spooky atmospheric song, and while its title means “still life” in English, it literally translates as “dead nature”. As the lyrics of this song are particularly dark and speak to being dead and being aware of it. Jung’s quote “(…) making the darkness conscious” fits perfectly. There’s also a totally twisted cover-version of Phillipe Lafontaine’s “Coeur de Loup” besides your own songs. I’ve heard the original song and I see how distorted your vision is of this song. Nic, why?.. This song literally means “Wolf Heart”, despite being written in a very different context. 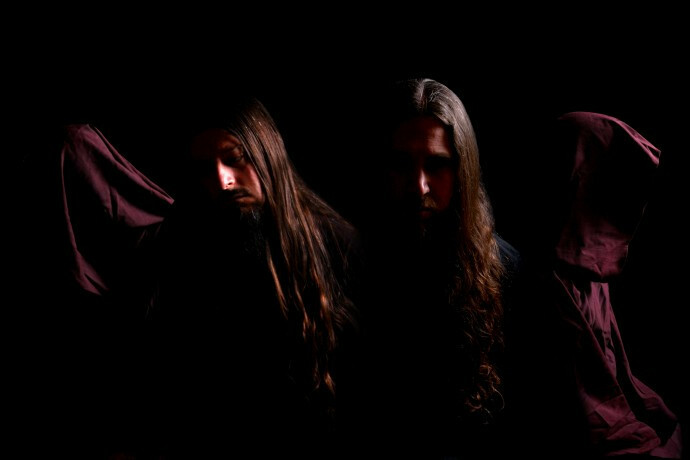 We listen to a lot of black and doom metal, and we thought the “Coeur de Loup” lyrics could be interestingly dark and twisted once isolated from their jolly context and dressed in black. This is a tongue-in-cheek rendering, of course, but the transformation process expresses perfectly our artistic approach with Norilsk: something slow and heavy, minimalistic, and rough around the edges, where harmony and ugliness converge. What do you know about Russia besides Norilsk? I fell in love with the byzantine architecture through my career as an architectural historian, and I visited Russia a few years ago for personal business. Like many tourists, you may say, I wanted to do the Trans-Siberian, but instead of taking a guided tour, my friend and I preferred to stay with local families and spend time in various cities along the way. Since then, I continued reading about the country’s culture and history, but while I am a Russophile I don’t pretend to know a lot about Russia. One thing I know, however, is that it improved my appreciation of icon painting and my vodka-tasting skills! I also know that Russia (and post-Soviet countries in general) have an amazing doom repertoire, starting with the cult band Scald and many bands such as Revelations of Rain, Painful Memories, or Non Immemor Mei, but also with a few flagship labels such as Solitude Productions. How long was your journey? And how did you organize it? This trip lasted one month. My friend and I met in Moscow, we travelled North to Petrozavodsk (we wanted to see Kizhi), then we came back to Moscow and travelled East on the Trans-Siberian train, stopping at various cities before exiting Russia through Mongolia (it was actually easier for us to fly back home from China than going all the way back to Moscow). Russia is vast, but following this iconic route provided me with a snapshot of its diversity and layers, its various peoples, architecture, colors, and odours (I can still remember the charcoal and wood fired samovar). Coming from Canada, it is not easy to do backpacking in Russia as we needed visas in and out of the country, copies of invitation letters from each place we were going to stay at, and to show authorities our detailed itinerary. Moreover, the language and culture barriers made it harder to communicate, to buy train tickets, etc. Nonetheless, it was definitely worth it. We found a French agency who had various contacts throughout Russia, and who was able to provide us with the basic confirmations we needed to embark on our journey. For example, one of our hosts was a soldier’s widow working for a church in Kazan; another one was a university professor in Tomsk; etc. We met all types of people in the train, from business travelers to workers celebrating after being away from home for a few weeks, and family members reuniting… We visited some of the people we met on the train afterwards, and corresponded with others. For historical reasons, I guess, it was easier to present ourselves as “French-speaking” rather than “North American” (for people who didn’t know where Canada is located, it was hard explaining that we were neither from Europe nor from USA!). You have a beautiful country, and I would not hesitate one second to go back if Norilsk gets invited to a doom metal festival! That’s all for today Nic! I’m glad that we had a chance to talk and I hope that our interview will help our readers to discover the cold and merciless nature of Norilsk. Any words for our readers? Thanks to you, Aleks, and to everyone interested in our cold brand of Canadian doom. Doom is a small but worldwide scene, but if we want it to stay healthy we have to keep our own local scene alive as well. Vinyl to be released at a later date. Awesome interview! I really like interviews that get deeper than usual. Most interviews don’t really engage the musician as an individual person. But yours did! I felt like I was reading responses from a real human and not JUST a musician. Also, Norilsk’s track on the Hypnotic Dirge comp was the one that stuck out to me the most. I listened to it multiple times. Thanks for covering them so we could learn a little more. Nice work.